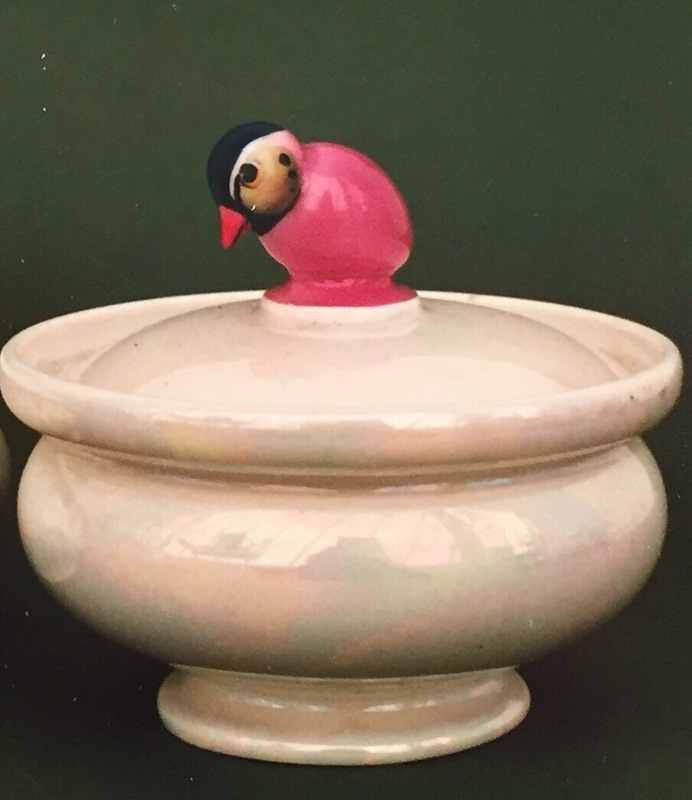 Collecting Doulton’s early ‘Character Birds’. HN 287 mounted on a powder bowl. 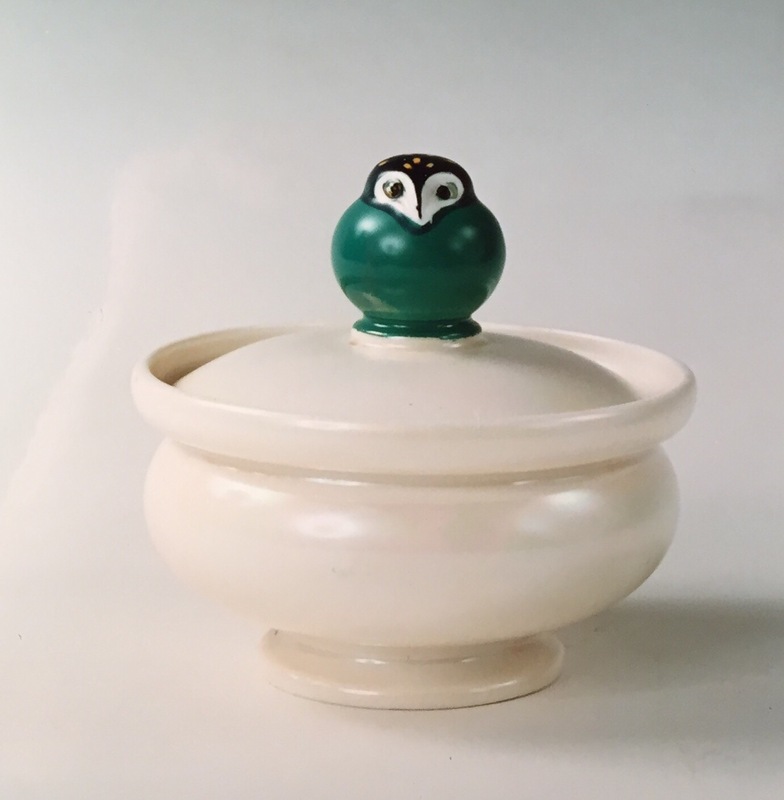 Having recently looked at powder bowls and boxes, you may have noticed some of Doulton’s early character birds used as finials. A colour variation of model 338. 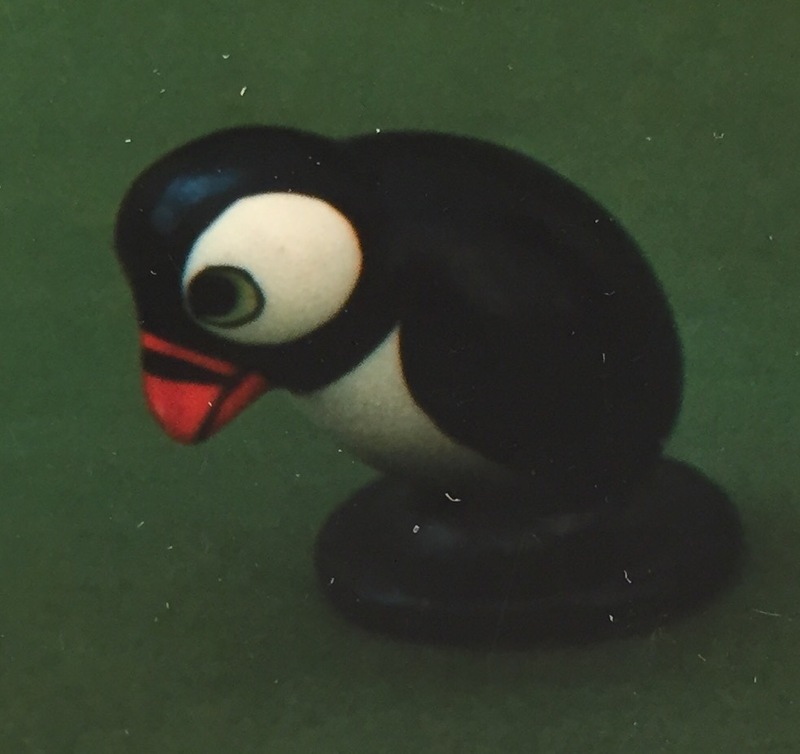 Introduced in 1922 and withdrawn by 1946 (although given their rarity today a much earlier withdrawal date is certain), these rare birds do occasionally appear and when try do they are typically found mounted on anything from desk accessories to menu holders and place name holders for the dinner table. 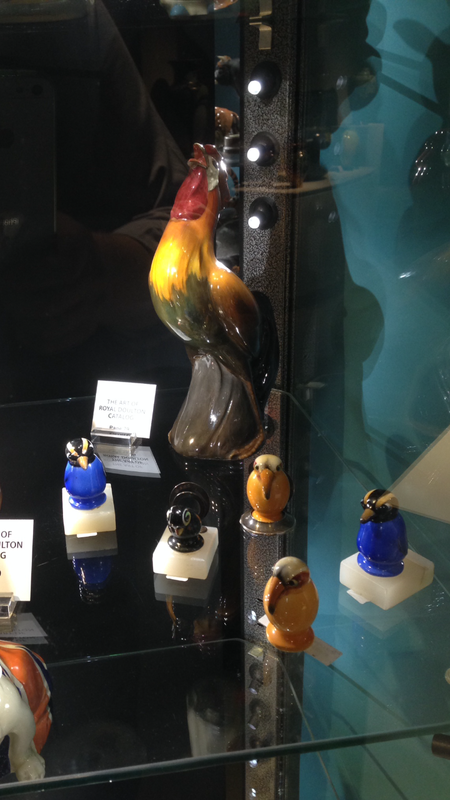 A selection of character birds in the foreground seen at the ‘Gallery of Amazing Things’ in January. There were some 11 models of birds created and all were available in more than one colourway, providing much scope for collectors. Indeed when they appear mounted on objects you are likely to find an unrecorded colourway of one of these delightful birds! A delightful version of model 338 – HN 261. A collection of these characterful birds is acid able but it will take time and dedication to build, together with a rather deep pocket!